We have something new for you to stick to! We have taken our Dream Cotton and Dream Poly and 'infused' them with soft fusible fibers. Our unique process of needle punching to one side of the batting allows us to maintain the consistency, softness, and drape-ability of the Dream Cotton and Dream Poly with the added benefit of fusible webbing. 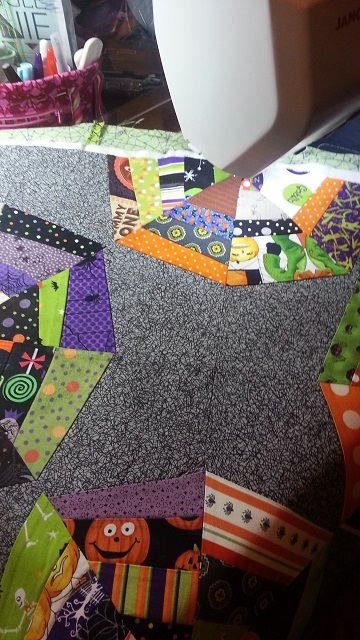 Dream Fusion is a wonderfully convenient option for combining the qualities of Quilters Dream Batting while eliminating the need for pinning and basting. Can be used on quilts, tablerunners or place of interfacing for handbags and small craft projects. Unruly seams? Use Quilters Dream Fusion to lock those seams in place! No need to re-iron your seams time and time again. "To know that even one life has breathed easier because you have lived, that is to have succeeded." This August 2013 marks the beginning of the 5th Annual Hopes & Dreams Quilt Challenge for ALS. Many of you know this challenge and read these words with passion. You have taken of your time, talents and treasures in picking out and purchasing fabrics, threads, needles and batting to design a quilt that you then donate to the Hopes & Dreams Quilt Challenge. Just a few of the more than 3,300 quilts sent in from across the U.S. to the Hopes & Dreams Quilt Challenge for ALS.